During the 2019 March Break, 310 Running headed to Las Vegas, Nevada for its annual warm weather training camp. The team took advantage of clear skies & unlimited sunshine to transition from their indoor to outdoor track season. 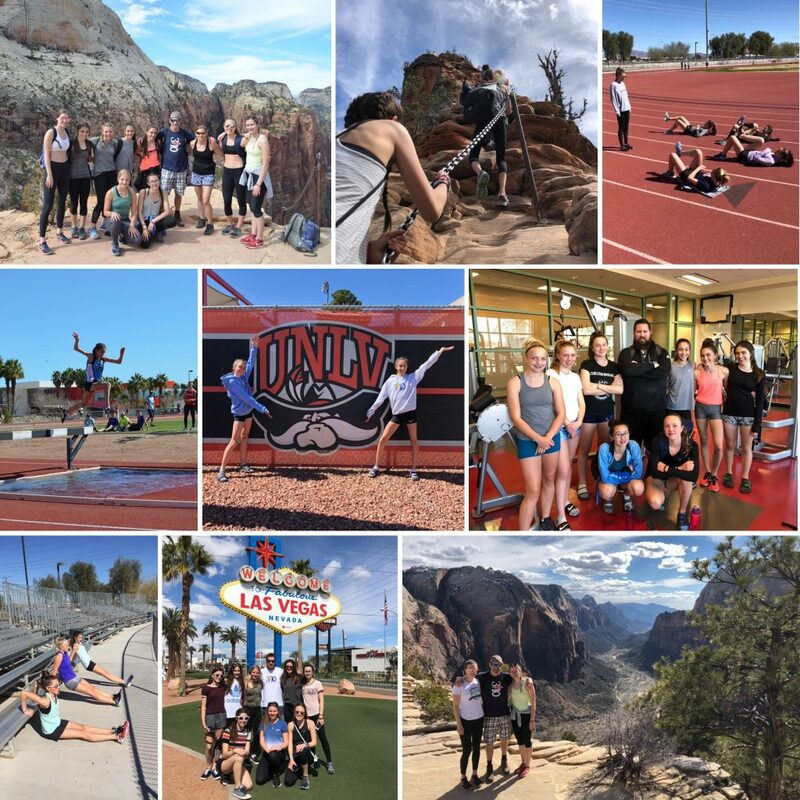 With the support of UNLV & Pearson Community Center, the team had access to everything required to get in some solid steeplechase, mid-distance, sprint & strength training. In addition to training, our athletes had the chance to compete in their first NCAA meet at the UNLV Spring Invitational. And of course, the track training was augmented with some unbelieveable hikes in Red Rock Canyon, Valley of Fire State Park & Zion National Park. Special thanks go to Donna Maurice who kept everyone fuelled up & moving and Coach Gord Everett who took time away from his first vacation in 15 years to lead our strength & conditioning workouts. The 2020 training camp is tentatively scheduled for March 17-24. Stay tuned for details.